Nowadays, everyone is aware of telemarketing services that help make appointments with potential customers. But have you heard of telesales? What is telesales? Telesales is a service task that you use to sell your products and services to customers directly through a telephone conversation. In telesales, the entire selling process, including the payment transaction can be completed within a short time using a single telephone call. Telesales can be more effective when you already possess a well segmented data and contact details of your potential clients. Here is an article that describes the telesales tips and tricks which are beneficial to the development of your business, whether small or large scale. The wide range of training centres focuses on skills and easy tactics such as handling complaints in a timely manner, with the right tone and empathy. However, the best call centres operate on another level and look different from the rest. Here are 6 tips for enhancing your telesales, which helps increase the effectiveness of selling over the telephone. To become a more sales oriented team, efficient customer service staff are required. It is not a bad concept. Many organisations follow the same for enhancing telesales. Hiring sound sales customer service staff helps improve telesales. If cross-sales involve the transfer of favourable circumstances from customer service staff to specific sales teams, make sure that there is sufficient staffing on the other point of the organization to avoid long queues. A short telesales call must explain the purpose of the call and the product or service that is being offered in a concise way. And it is vital to be transparent. This increases the sales leads. 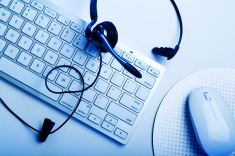 Overall, transparency and efficiency keeps customers satisfied with your telesales calls. Telesales also depends on order, value, time spent on the site and order history. The above 6 telesales tips play a major role in your business growth.